As most of her classmates watched the ball drop in Times Square, Westfield High School senior Jensen Bailey was thousands of miles away in London celebrating the New Year. 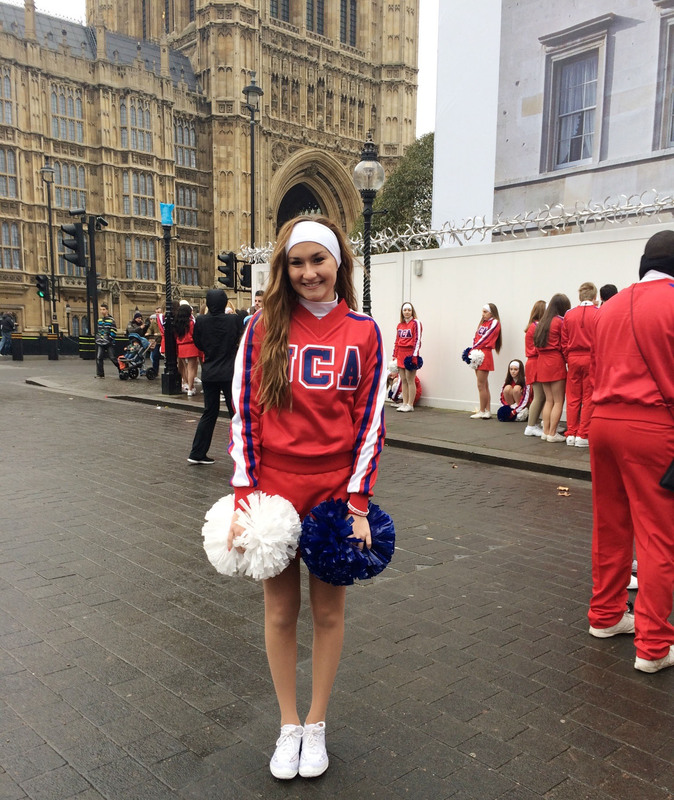 From Dec. 26 through Jan. 2, Bailey joined 254 girls as part of the Universal Cheerleaders Association in England. “I met so many amazing girls and I got to see and do things I never would have been able to do otherwise,” Bailey, 17, said. Bailey said the holiday celebration was unlike anything she has experienced or seen. The next day was just as big as Bailey marched in the New Year’s Day parade. While London has numerous sporting teams, they lack cheerleaders. Besides parade rehearsals, the cheerleaders were able to explore the city and see many of the famous sites including Windsor Castle, Harrods Department Store, Buckingham Palace, Westminster Abbey and Tower Bridge. Bailey said she got to know a lot of nice girls on the team and became really good friends with two teammates from Champaign, Ill.
“We’re actually planning to see each other in February,” she said. Bailey said her performing background started at age 4 as a dancer at the Carmel Performing Arts Theater. Tami said cheerleading is her daughter’s passion. The WHS Cheer Team was at Indiana University for cheerleading camp during the summer and tryouts are held there every year for the All-American team, for those showing exemplary skills in motion technique, dance and jumps. 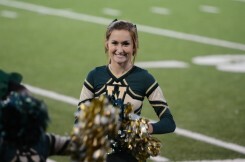 At WHS, Bailey is a leader on the squad and at the school according to Beth Ellis, WHS assistant cheerleading coach. “She’s very talented, obviously being chosen as an All-American is definitely an honor,” she said. Ellis said the squad has had several of its members named All-Americans but Lexie Castor, a 2014 graduate, was the first Shamrock to travel to London last year. Family: Parents, Mike and Tami Bailey; and brother, Jaret, 14. Hobbies: Cheering, gymnastics, spending time with friends and shopping. College plans: Major in architecture or interior design at Indiana University of the University of Kentucky. Favorite part of being a cheerleader: Being a spirit leader for my school and represent all of the awesome teams at my school. We also compete as a team and were sixth in state this year. Personal quote: “If you look toward the sun you’ll never see the shadow.” Anytime I’m having a bad day, I think about it.